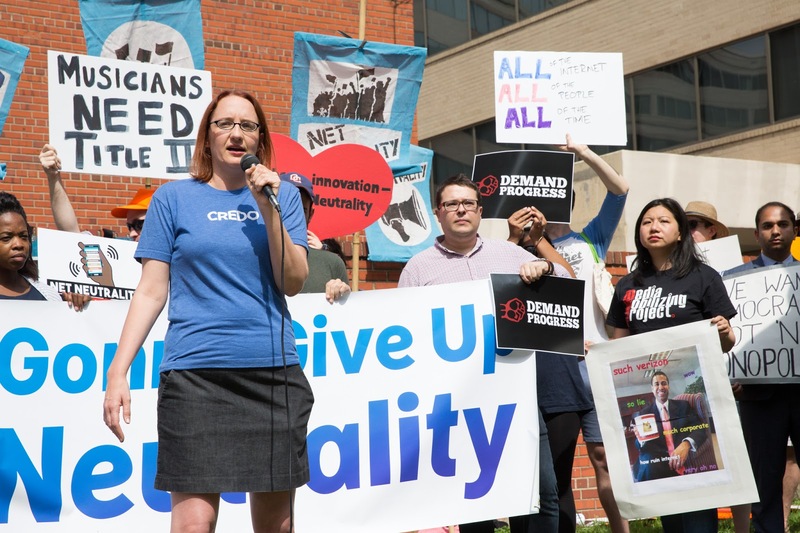 For Net Neutrality supporters the last week felt like déjà vu. Under its Trump-anointed chairman, Ajit Pai, the Federal Communications Commission decided last Thursday to revisit its Net Neutrality ruling. The agency reopened a docket for public comments on Pai’s proposal to undermine the safeguards needed to prevent internet service providers from blocking, throttling or de-prioritizing the online content people want to see. Well, this new FCC chairman has attached himself to a Trump White House that’s determined to punish the Obama administration for winning the elections in 2008 and 2012, regardless of the cost to the public. This has put the 2015 ruling, passed under Pai’s predecessor, Obama-appointee Tom Wheeler, squarely in the crosshairs. For Pai, fabricating a Net Neutrality counter-narrative means making things up — something he’s all too willing to do — while burying mounting evidence that the 2015 Net Neutrality rules are working well. It’s all part of Pai’s ongoing efforts to keep people in the dark as he tries to strip away the open-internet protections that millions upon millions of internet users demand. Poll after poll shows strong public support for Net Neutrality protections, even from Republican voters: A 2014 University of Delaware survey found that 85 percent of Republicans opposed allowing ISPs to prioritize some web content over others. A similar poll from the Internet Freedom Business Alliance found a large majority of Republicans and conservatives support Net Neutrality protections. According to the poll, some 83 percent of voters who self-identified as “conservative” wanted government action to guarantee that ISPs couldn’t “monopolize the Internet” or “reduce the inherent equality of the Internet” by creating fast and slow lanes based on what a given content creator could pay. More recently, Pai staffers have been trolling social media to portray open-internet advocates as members of the anarchist “Black Bloc” protest group known for masking its identity and destroying private property during street demonstrations. 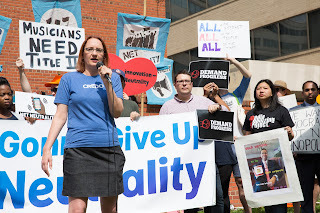 Pai’s top policy advisor, Nathan Leamer, was seen outside agency headquarters during the FCC’s May 18 meeting directing reporters to photograph a small group of fake protesters, who had attached themselves to a larger pro-Net Neutrality rally. These outliers were dressed up in Black Bloc garb holding signs that called for the censorship of right-wing websites, including InfoWars and Breitbart — promoting the falsehood that Net Neutrality protections restrict free speech. Such gutter politics aren’t beneath this FCC chair and his minions as they seem willing to say and do anything to turn public sentiment against a ruling that immeasurably benefits the American public. Whether it’s Comcast blocking access to peer-to-peer technologies (2005), or AT&T forcing Apple to block Skype and other competing VOIP phone services (2007–2009), or Verizon Wireless blocking people from using tethering applications on their phones (2012), or any other of the multiple instances in which ISPs have taken away internet users’ right to choose, there can be no question that the problem exists. Hardly. The 2015 open-internet rules aren’t internet regulations but a set of safeguards preventing broadband providers from picking and choosing what online content gets priority and what content gets shunted to a slower lane. In other words, the rules regulate ISPs, not the internet. And companies like AT&T, Comcast and Verizon no more constitute the internet than a company like Georgia Pacific signifies the forest. The FCC’s decision reclassified broadband providers under an existing law that preserves the rights we’ve always had to defend ourselves against communications carriers bent on interfering with our speech. Common carriage as a legal principle operates across our 21st-century economy. “It extends free speech principles to privately owned carriers. It is an arrangement that promotes interconnection, encourages competition, assists universal service and reduces transaction costs,” wrote Columbia University economist Eli Noam. This standard holds water in the digital world as well, not as a regulation of the internet but as a safeguard against those who might abuse access to its open road. Chairman Pai knows this. But as the leading voice opposing Net Neutrality protections, he won’t give it to you straight. Chairman Pai has repeatedly been proven wrong on the facts and the law. And he’s lost his argument against Net Neutrality in the court of public opinion. In a final act of desperation, he and his allies in the phone and cable lobby have decided to co-opt Net Neutrality language, pretending to embrace the open internet ideal while they move to dispense with the rules that make it enforceable. The next three months will be a critical time for people to weigh in. If we’ve learned anything from past fights, it’s that your voice makes a difference. Net Neutrality supporters don’t need to fake it. To save the open internet, we don’t need spambots, funky investment claims, an army of industry lobbyists or a disingenuous chairman.